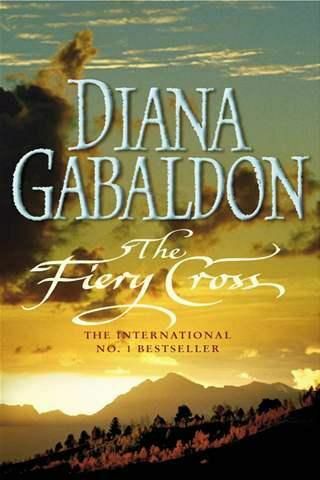 THE FIERY CROSS is the fifth book in the OUTLANDER series, following DRUMS OF AUTUMN. Set against the War of the Regulation in North Carolina (the first tax-payer's rebellion in the American colonies, and a precursor to the full-blown Revolution), the story deals with Jamie Fraser's efforts to protect his family, build a community on Fraser's Ridge, and keep his land–this last requiring him to walk a delicate tight-rope between the pressing urgency of the rebellion and the increasingly unsteady but still dangerously powerful government. In these efforts, he's mostly aided–and occasionally hindered–by his wife Claire, who has become the conjure-woman for the Ridge, his daughter Brianna, whose 20th-century inventiveness may possibly kill them all, and his new son-in-law, Roger MacKenzie, which whom he has a rather wary relationship, owing to his having at one point sold Roger to the Iroquois (under the misapprehension that Roger had raped his daughter, but still…), and to Roger's sense of inferiority, comparing his own budding skills at swordcraft, farming, and leadership with the man he refers to privately as "The Great Scot."